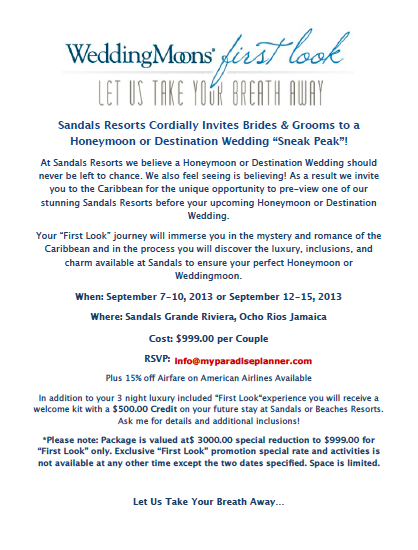 Sandals Resorts Weddingmoon "First Look" - Only $999 Per Couple! We have spots for 5 couples left!! 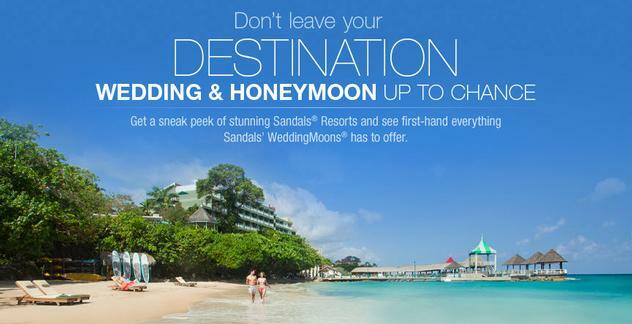 Visit Sandals Resorts For Only $999 Per Couple!